Seven Arizona civilian adults travelled to Camp Perry to shoot Service Rifle in the CMP & NRA National Matches in July 2016. There was also a team of about a dozen junior shooters (teenagers) and a handful of military reserve and other unattached adult Arizonans were also there. A vew from 100yds back. · standing at 200 yds, one shot at a time. 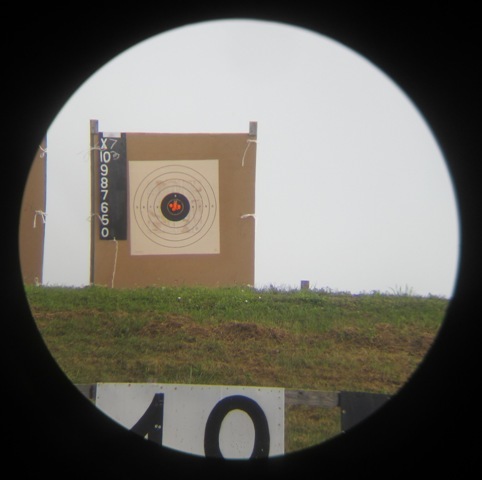 · sitting at 200yds, 10 shots in 60 seconds with a reload. · prone at 300 yds, 10 shots in 70 seconds with a reload. · prone at 600 yards, one shot at a time. Some matches are individual, where you are not allowed a coach to tell you the wind changes between shots, others are team matches with a coach. A “Service Rifle” is a US Military rifle from the WWII to present era, or the civilian equivalent. So the M1 Garand and the M1A (civilian M14) can be used, but are fairly rare. The AR-15 (civilian M16) is by far the most popular with something like 97% of competitors choosing AR-15s. It simply is the best rifle for what is the best attended precision sport shooting competition in the western hemisphere! This year, scopes (4.5X max) are permitted and were quite popular at Camp Perry. More on that later. This year’s CMP week at Camp Perry started on Sunday 24-July and continued all week. 100-7X, yeah, an Arizona shooter did that! Sunday 24-July with a day of practice. It got rained out. Monday was the “President’s Match”. Where the top 100 shooters (of 1138 this year) earn the “President’s Hundred” tab. This is a 30 shot match described above. The top 20 had a shoot off. No Arizonan qualified for the shoot off. The top finishing Arizonan was a USMC Reservist Justin S. from Tucson in 71st place, followed by another, Wayne U. in 99th place. The highest AZ civilian was Jeff M. of Tempe in 122nd place. Tuesday we shot the National Trophy Individual Match, also known as the “Leg” match because one must place in the top 10% of this match several times, sort of like “legs” of a journey, to qualify as a “Distinguished Rifleman”. This is a 50-shot match. Steve C. of Phoenix was the top scoring Arizonan with 487-13X (500-50X would have been a perfect score). Jeff M. of Phoenix and Jeff S. of Tucson were both in the top 10% and both completed the final of “leg” to earn their “Distinguished Rifleman” badges. Wednesday was the 2-man team match called “Hearst Doubles”. The two shooters could coach each other alternately. This is a 30-shot (each shooter) match. 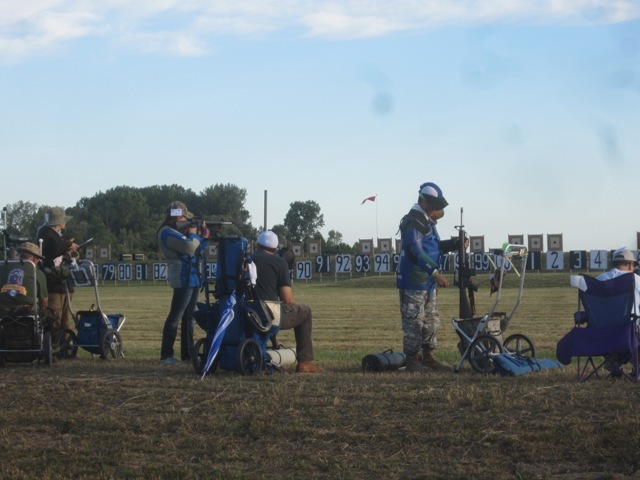 Of the 300 teams shooting, It looks like Bill P and Steve S came in 78th place as the highest scoring civilian team with two Arizona adults. 600yd prone 2 shooters in a team match. Thursday was the National Trophy Team Match. Consisting of teams of 6 shooters each firing the 50 shot match. Coaching is allowed. 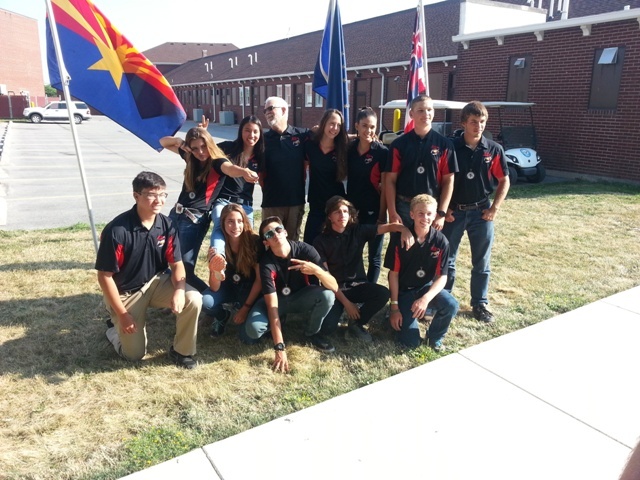 Coming in 25th place overall out of 85 teams was the Arizona team sponsored by Phoenix Rod & Gun Club. 6 Arizona Adult team members just before the match started. Friday is a special once a year match called the “National Trophy Infantry Team” match. This is a team of 6 shooters firing 384 rounds at 8 targets under the guidance of 2 coaches. All the shots are rapid fire from 600, 500, 300 and 200 yards, with hits at the longer distance counting a higher score. Arizona was not able to enter an adult team in this match this year, but the Junior team enters every year and does quite well. This year coming in 5th among junior teams and 19th out of 34 teams overall. Most serious teams fielded AR-15 rifles, but the Garand Collectors Association shot M1 Garands! This is what 384 rounds of Garand Ammo on clips looks like! 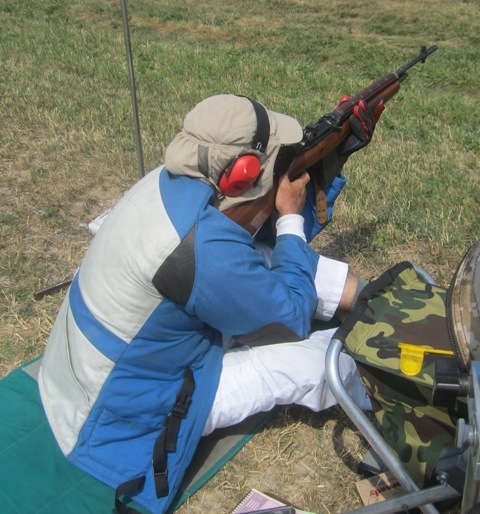 Friday and Saturday were the CMP Garand, Springfield and Military rifle “Games” matches. Several AZ shooters shoot in those events and won medals. These are 30-shot matches all at 200 yds using original antique rifles. About 1000 shooters shot the Garand, many shot the other Games matches too. 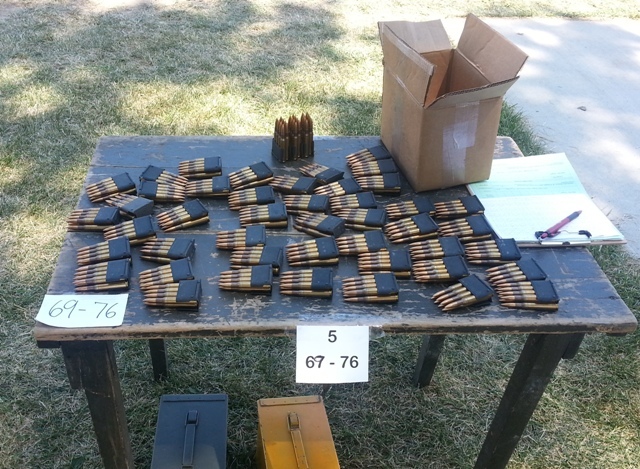 One of many relays of the John C Garand Match at Camp Perry – Prone stage at 200yds. 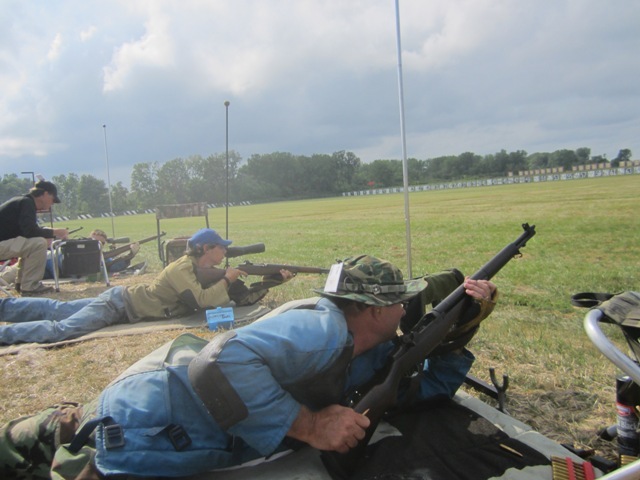 Sunday was the M1A match jointly sponsored by the NRA and the gun company “Springfield Armory” to honor the M1A, which is pretty much an “antique” rifle too these days. This is a 50-shot match all at 300 yards. Several AZ shooters participated. 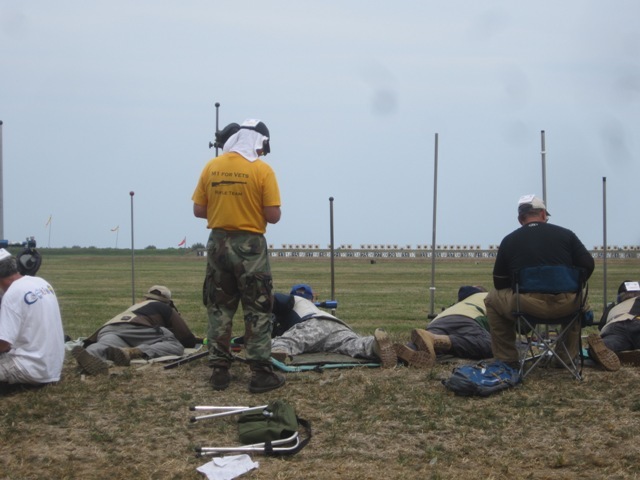 Sitting stage at the M1A match at Camp Perry. This was my first trip to Perry in about a dozen years. The adult team we had then kinda drifted away to other shooting disciplines. 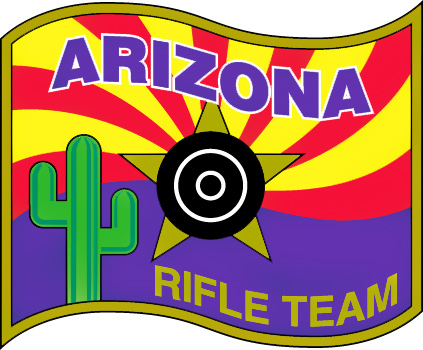 Most of the AZ shooters present this year had gotten into Service rifle competition more recently than that so we are finally getting an Arizona team up and running again! CMP rules require at least one new shooter in every team match! Interested? With the new rule on scopes (I’ll write about that more in a different post) the sport should be more welcoming to more shooters! We have 3 full-distance High power ranges in Phoenix, plus Tucson and shorter distances elsewhere. We have shoots monthly for experienced shooters as well as beginner-friendly 200yd shoots. All shoots are open to all shooters! We have Beginner’s training classes several times a year. email questions. Arizona is repeatedly ranked NUMBER ONE state for shooters! 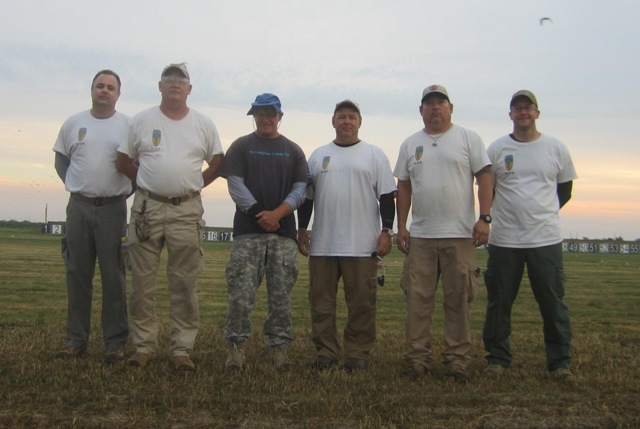 We really should strive to have a number one service rifle team at the Nationals every year!